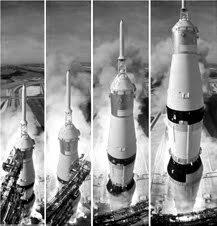 Rocket Builders recently gathered data to complete their yearly Mid Year Review on the companies on the 2014 Ready to Rocket ICT List and discovered high revenue growth, high full time employment growth and over ten million dollars raised in angel and venture capital financing. Ready to Rocket is an annual list of the companies in Information Communications and Technology (ICT), Clean Tech and Life Sciences that Rocket Builders believes are most likely to show break out growth in the coming year. This year Rocket Builders focused on companies in the Information and Communications Technology List as these companies are at the heart of the British Columbia innovation ecosystem and they tend to have more revenue traction than companies in Clean Tech or Life Science. Data showed early-stage companies experiencing up to 7X growth and larger companies expecting to see revenues grow by more than 100%. The major trends supporting the growth of the Ready-to-Rocket companies are Cloud, Social, Mobile, Big Data, and Security. The most successful companies are those that have translated these trends into opportunities in a specific segment. “There has been a lot of excitement about start-ups in Vancouver, and this is good, but it is during the growth phase that most value is created and there needs to be more attention to and support for Vancouver's growth stage companies," said Rocket Builders partner Steven Forth. "A 1 or 2% difference in month-to-month growth makes a big difference early on. Companies are projected to increase growth in full time employees by 34% by the end of the year. There was a 25% decline in revenues per employee, but this decline is likely due to the number of very successful companies that graduated from the Ready to Rocket List and the remaining companies are on average smaller and less mature. As large technology companies open offices in BC there will be upward pressure on local wages as well. The Ready-to-Rocket companies seem to have a balanced approach to metrics overall, but about half are focused only on backward looking financial metrics. This is like driving a car by looking in the rearview mirror. Companies have an opportunity to sharpen their differentiation by developing metrics that are specific to their offer and that measure the value to the customer. These are the metrics that can change future performance. Contact Rocket Builders (rnordman@rocketbuilders.com) for access to more metrics.